The Promenade is one of the latest dining places in Bayan Baru. 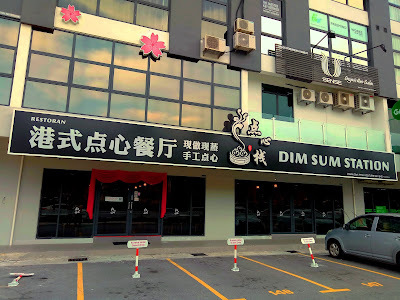 One of the restaurants here, Dim Sum Station (点心栈), serves Hong Kong-style dim sum (港式点心). The dining section is rather spacious and has an upscale appearance. 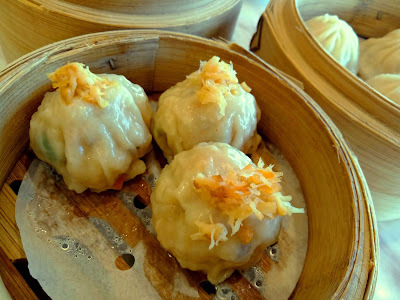 Steamed Dried Scallop Dumplings (干贝海棠果, RM8.50) are a type of siew mai (烧卖). They are filled with minced pork and shrimps, making them fairly succulent. The dumplings are topped with chopped scallops for the extra savoriness. 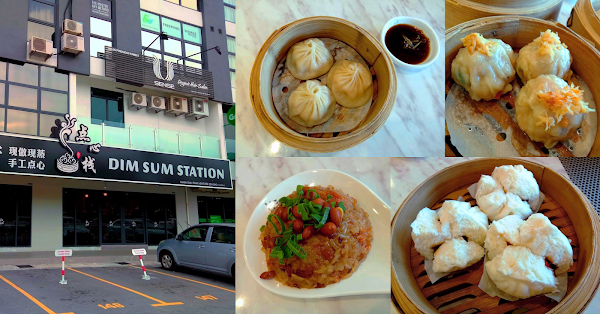 Meanwhile, Shanghai Juicy Meat Dumplings (上海小笼包, RM7.90) are typically eaten with ginger slivers and rice vinegar. In my personal opinion, the dough skin is too thick and this suppresses the taste of minced pork inside. I also feel that the amount of broth in the dumplings is inadequate. Steamed Chicken Feet (柱侯酱凤爪, RM6.50) are flavored with chu hou paste (柱侯酱), which is a savory condiment from Foshan (佛山) in Guangdong Province. Unfortunately, I feel that the seasoning is excessively salty for me. 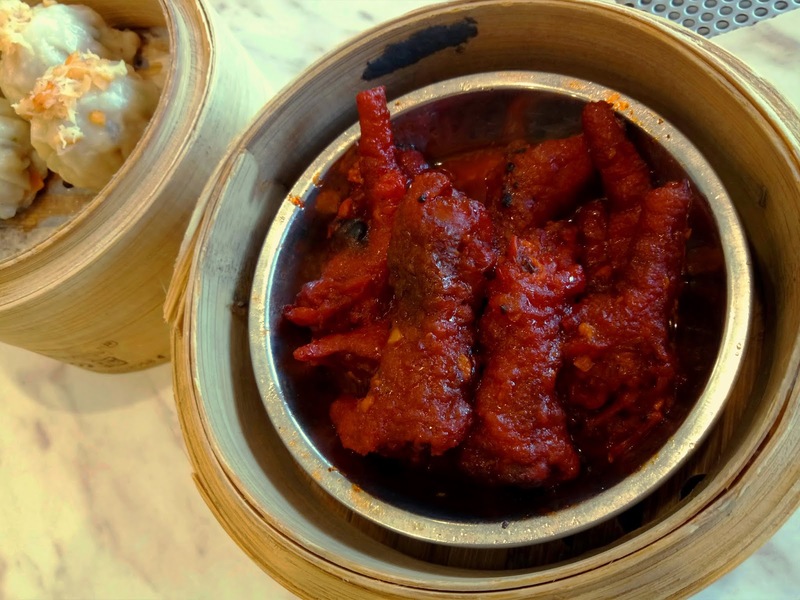 Although I do not mind eating chicken feet, this dish is just not my cup of tea. Steamed Char Siew Pao (蜜汁叉烧包, RM7.90) is considered one of the better items today. 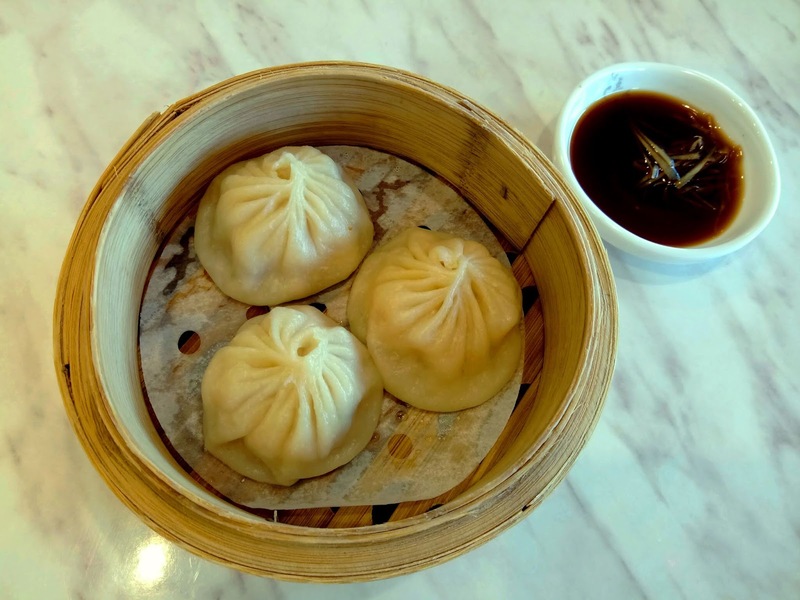 The steamed buns are filled with delicious barbecued pork. 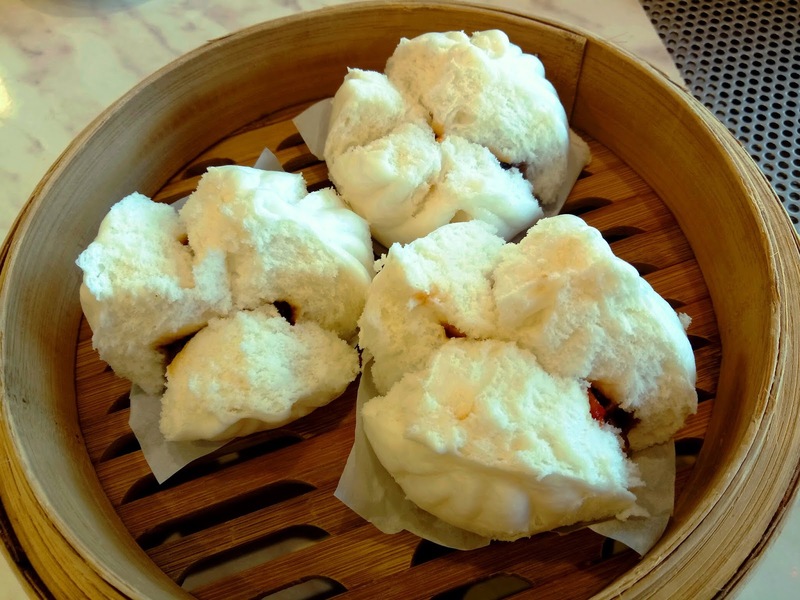 The pork's honey-sweetness works well with the soft bun. 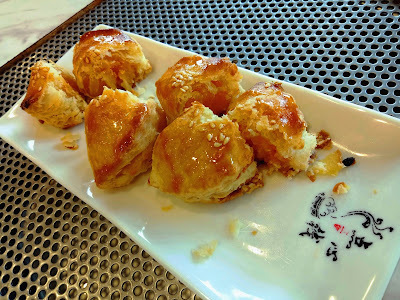 I enjoy the savory egg yolks inside the Custard Shortbread (奶皇一口酥, RM6.90). 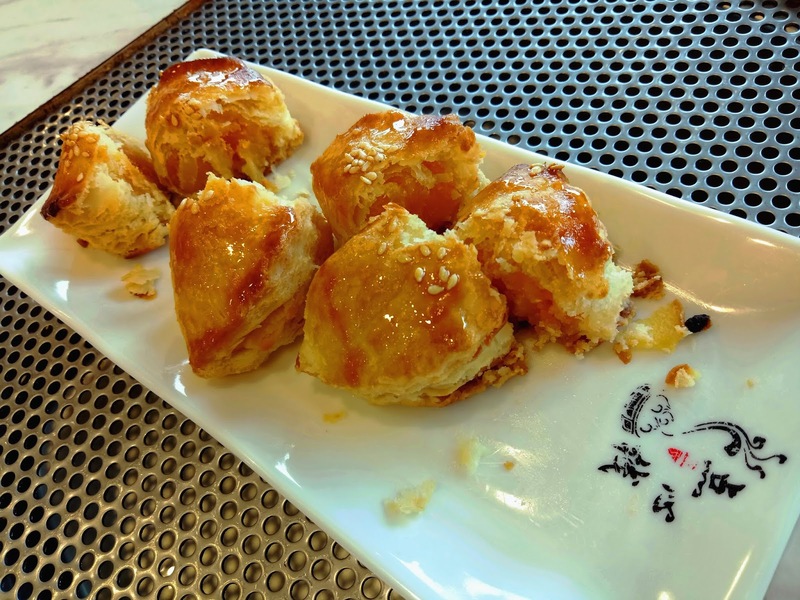 It is made from flaky pastry and is glazed with honey to produce a glossy surface. Another recommended item is Steamed Glutinous Rice (生炒糯米饭, RM7.50). The rice dish is traditionally prepared by frying, but more often than not, steaming is much preferred by restaurants nowadays. 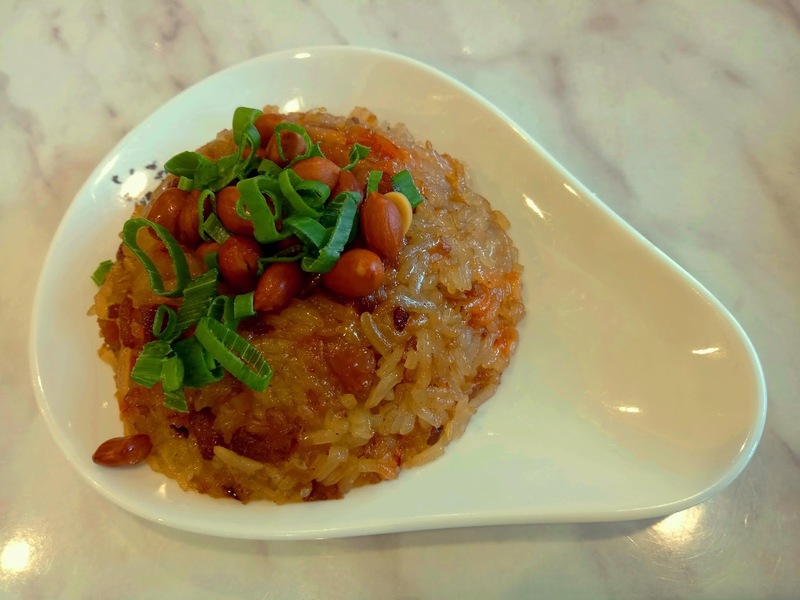 Besides glutinous rice, this delicacy also contains Chinese sausages (腊肠), dried shrimps (虾米), shiitake mushrooms (冬菇), peanuts and scallions. As for Century Egg & Shredded Chicken Porridge (鸡丝皮蛋粥, RM5.90), the rice grains have mostly disintegrated into the congee. 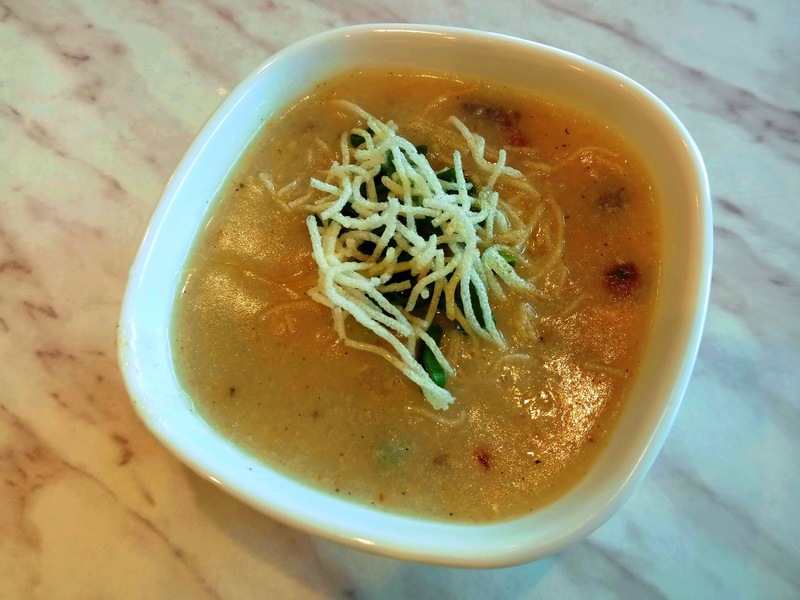 The bowl of porridge is garnished with crispy rice vermicelli and chopped scallions. I feel that the serving size is rather small. Moving on to tea, Ju Pu (菊普, RM1.90 per person) consists of tea leaves of pu er (普洱) blended with chrysanthemum flowers. 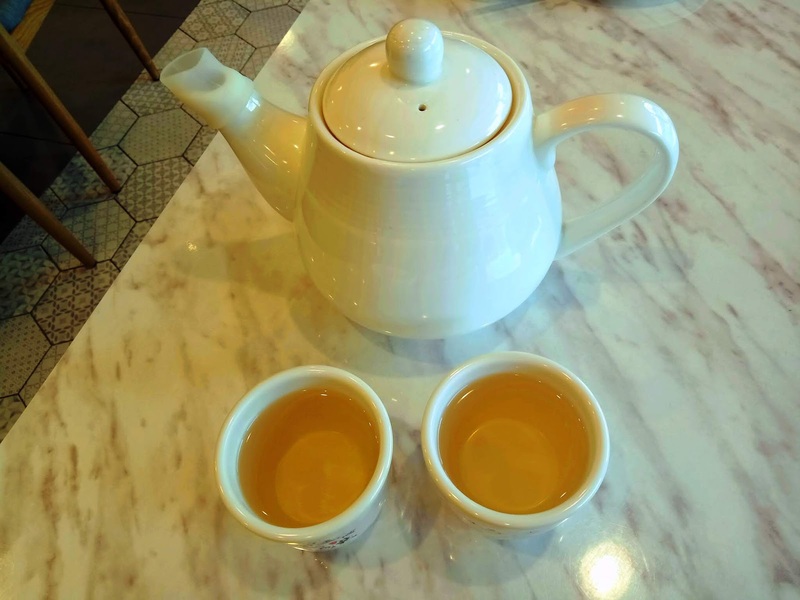 This drink is very popular in Hong Kong and Guangdong. Hot water refills are free. However, I feel that the staff is pretty slow or reluctant to help us on this.